The sixth annual Gas Safety Week took place 19-25 September 2016 and, according to The Gas Safe Register, The Katie Haines Memorial Trust was one of 6,859 companies and organisation that pledged their support to this week. The official launch to the week took place at the Houses of Parliament on 13th September and saw over 60 stakeholders and supporters from across the industry coming together for a common purpose. The event gave everyone a chance to share ideas on gas safety and to discuss ways of raising awareness of carbon monoxide and the dangers of poorly maintained gas appliances. Representatives speaking came from the Gas Safe Register, the Gas Industry Safety Group and APPCOG (Baroness Finlay of Llandaff and Barry Sheerman MP). Barry Sheerman opened the meeting: “We have already made some real change, with new regulations and helping to educate people about gas safety. 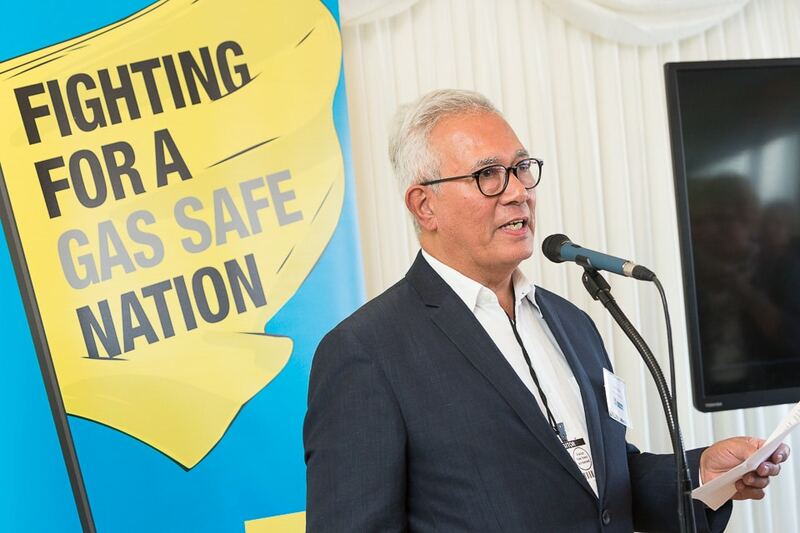 We’re making progress, but there’s a long way to go.” KHMT was pleased to support this important event and very grateful to the Gas Safe Register for allowing Gordon to speak and introduce our film Cause for Alarm, which received an excellent response.